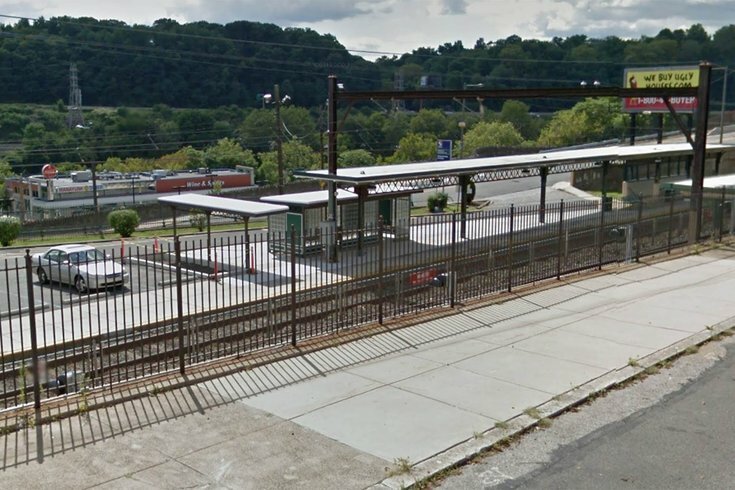 The Wissahickon station parking lot in Manayunk on SEPTA's Regional Rail line will be converted to a paid lot in 2019. After reports of catalytic converters being sawed off cars at the Wissahickon Station stop on SEPTA's regional rail began to pop up online, the public transportation service has urged riders to remain vigilant as they watch for patterns of crime. After learning that an individual reported that twice within two weeks the catalytic converter was removed from his girlfriend's car while parked at the station off Ridge Avenue in Manayunk, SEPTA police are searching reports for similar thefts in that area, said Andrew Busch, spokesperson for the transit authority. "Our police are combing through reports to see if there are more thefts of that kind," he said. Busch noted that, from time to time, due to catalytic converters' value as scrap metal, thefts of the equipment are reported at SEPTA parking lots. But with a system covering 2,200 square miles, and only 265 SEPTA police officers on-duty, Busch said it is difficult to monitor every lot at all times. "But, if we see a trend, we will add patrols," he said. According to Busch, SEPTA police regularly patrol parking lots on SEPTA train routes, looking for suspicious behavior or any criminal activity. He said that they also partner with police departments in the area, when they notice crime trends in any specific areas. While SEPTA police will review reports of catalytic converter thefts at the Wissahickon stop, SEPTA riders can help by being vigilant and reporting thefts as well as suspicious activity to SEPTA police, Busch said. It's important to report criminal activity at SEPTA stops, said Busch, as they respond to the reports and use them to assess whether or not an area is being targeted by criminals. "Stay vigilant. That's the best advice I would have for people," he said. If you see something suspicious or have a crime to report to SEPTA police, they can be contacted here.